Motorola is quite popular for its Moto series smartphones and is usually subjective to heavy leaks before the launch of any of its devices. This time around, it is the Moto X4. We have come across a few images that are believed to be the upcoming Moto X4 smartphone. Spotted online, the leaks not only include pictures of the device but also reveal the entire specs-list of the Moto X4. 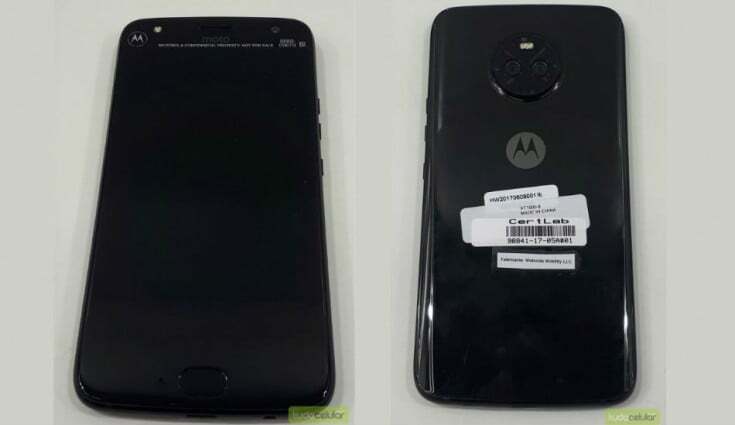 This new leak comes a week after reputed leakster, Evan Blass, shared a picture of an alleged Moto handset and it seems that the picture matches today’s leaked renders. From the pictures, the Motorola Moto X4 apparently sports a circular dual camera setup on the rear of the device along with a LED flash placed on top instead of below the camera. The phone seems to have a glass build with a front-mounted fingerprint scanner, which is integrated into the handset’s home button. As for the rest of the specs, The Moto X4 is expected to come with a 5.2-inch AMOLED display with Full-HD (1920 x 1080 pixels) resolution. Internally, the device might be powered by an octa-core Qualcomm Snapdragon 630 or a Snapdragon 660 processor, clocked at 2.2GHz. The chipset will be paired with 4GB of RAM and 64GB of internal memory, moreover, the phone is also expected to come in a 3GB and 32GB internal storage variant. New rumours suggest dual 13MP rear sensors with f/1.7 aperture and LED flash along with a secondary 5MP camera that sits on the front for selfies. The Moto X4 is said to come with IP68 certification and runs on Android 7.1.1 Nougat OS. The device is allegedly backed by a 3,800mAh battery with Quick Charge 3.0 support. There have been speculations that the Motorola Moto X4 is most likely scheduled for launch on August 24, in Brazil, and the cost of the device is expected to be placed around the Rs. 26,500 price range. Earlier leaked Indian pricing of the device claimed that it would cost Rs. 20,999 in the Indian market. Been anxiously waiting. Looks beautiful. Just hope it has a 5 inch screen (prefer smaller screens because they are easy to handle and don’t end up slipping with cracked screens), Snapdragon 660, 4GB, 64GB variant as well.